Thank you to JORD for sponsoring this post. All opinions are completely my own. With Christmas arriving, I have been thinking about the perfect gift for my husband. 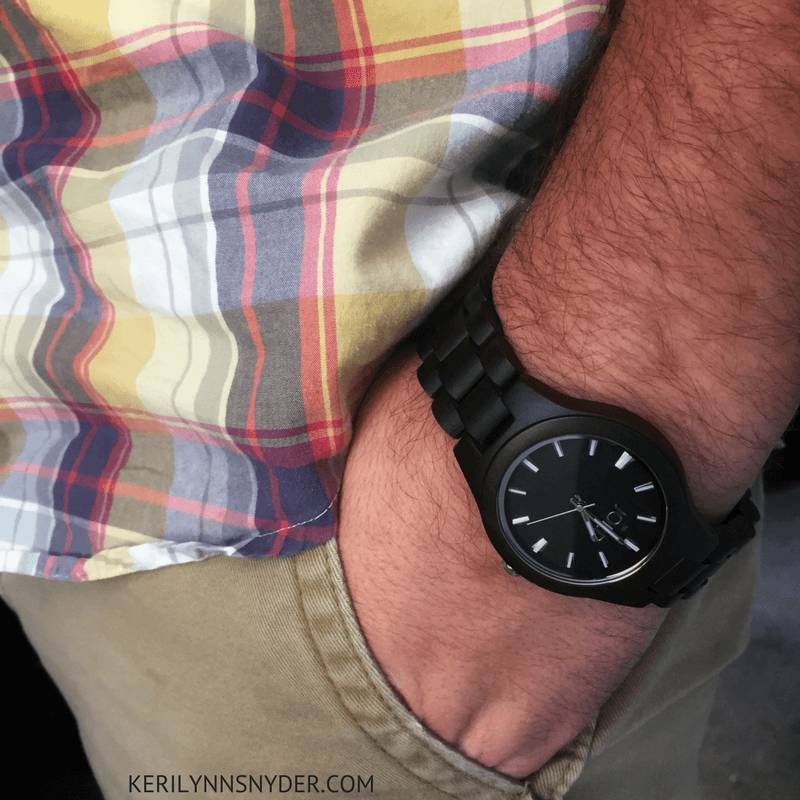 As I was putting together a gift guide for dads, I was contacted by JORD watches to do a review. My husband has always loved watches but has been without one for some time. When I showed him Jord Watches, he immediately liked them. He loves the wood watch look and variety of options. He has been wearing his JORD watch for a few weeks now and absolutely loves it. My husband can be very particular about what he wears, so I know he is a fan when he wears it every single day. 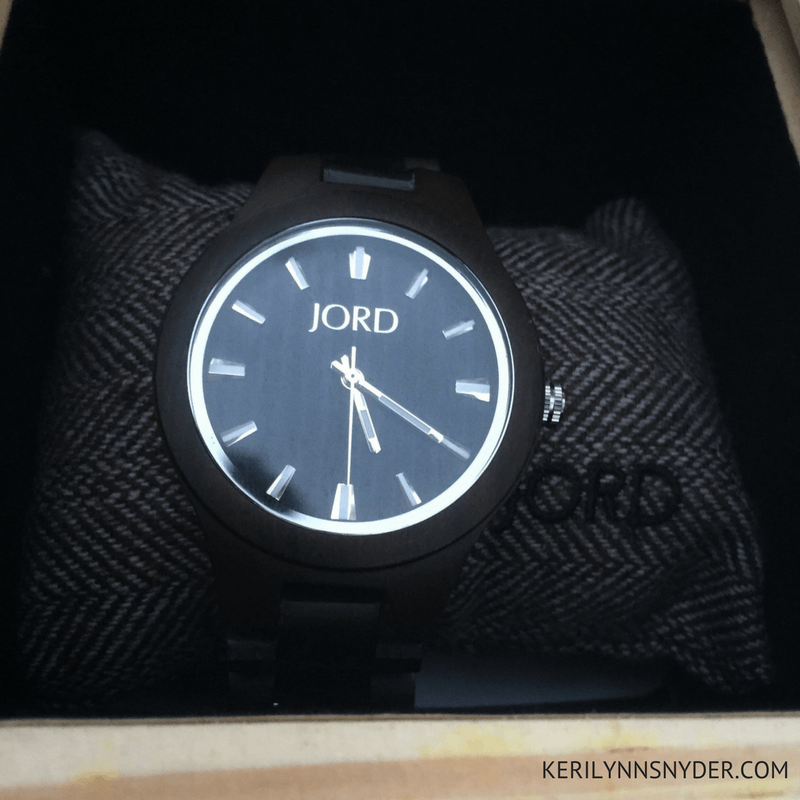 When the JORD watch arrives, it is in a cube box, so you do not even have to worry about one more box for Christmas wrapping. 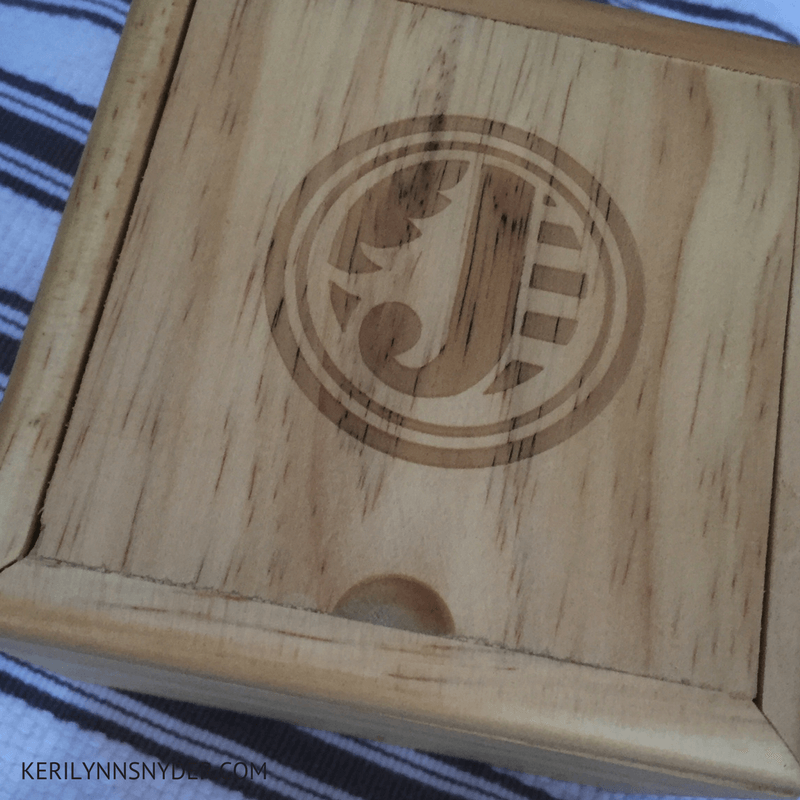 Inside is another cube-shaped wooden box and there is a cloth and brush included to help keep the watch clean. 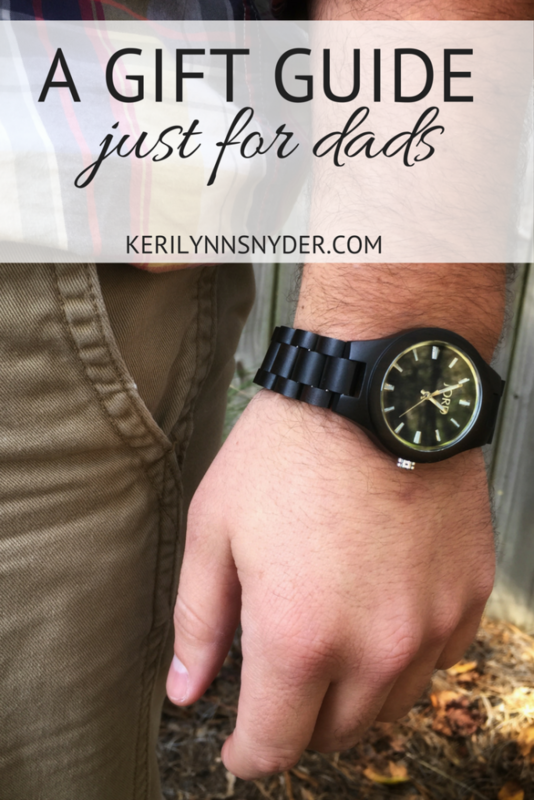 A JORD watch is definitely a keepsake of a gift and perfect for any dad. All of the watches have a classic look with different styles to choose from. We ended up choosing the dark sandalwood and it has been a great choice. My husband really likes how it fits and looks. It can be worn at work or in everyday life. As a teacher, wearing a watch is a huge help as he constantly is keeping track of time. Of course, as any dad knows, having a way to keep track of time for any job is beneficial! Starting today, you can get a 25% instant coupon code with JORD! Head here to enter your information and receive your coupon code. While my husband lucked out and got this gift early, I do still have a few other ideas. My husband hates a bulky wallet, so for a period of time he would not even carry a wallet. Of course that never ended well, so I finally found the perfect wallet for him that was basically a modern money clip. Sadly, the shop closed but I did find a similar option that we are going to check out this year. With the weather getting cooler, it is the perfect time to purchase a comfortable layering piece. My husband has a similar sweatshirt that he loves. It can be dressed up or down and is a great addition to any wardrobe. As funny as it may sound beard balm is actually at the top of my husband’s list. I love how practical it is and it is something he has wanted but just has not taken the time to purchase yet. This would even be great as a stocking stuffer. Having a water bottle you can bring around in your everyday life is a huge help. This water bottle would make for the perfect gift. This gift guide for dads is prepared to help you get started in thinking about some ideas that may be perfect for your guy. What would you add to this list? Don’t forget to sign up to receive your coupon code for JORD. What great gift ideas! I especially like the watch. I got my dad a Jord watch for Christmas this year too. I got my brother one about two years ago and had no idea my dad liked it as much as he did. He’s so hard to stop for; Jord is an awesome company. That is so great Leslie! My husband really loves his watch. I love that he has such a great piece. 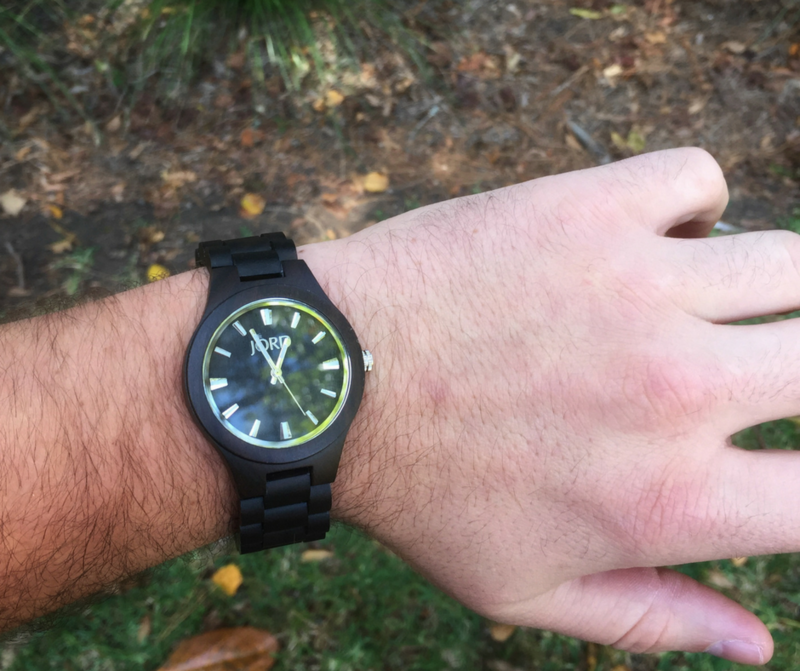 JORD makes beautiful watches! My husband loves his watch. The craftsmanship of these watches is simply amazing. Love the black! These are great ideas my husband would love the watch! Thanks you! Yes, I agree, just classics!